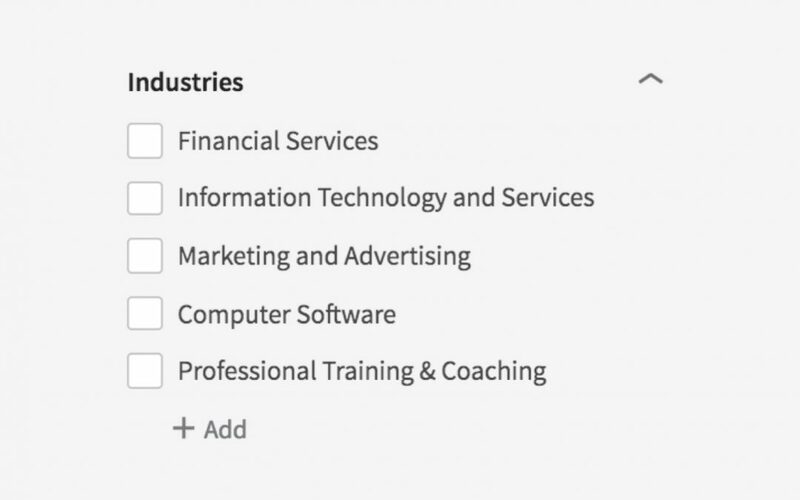 In 2017, LinkedIn.com no longer displays a complete list of official LinkedIn industries, showing 5 relatively random industries in its place. Previously, an alphabetical scrollable list was provided and it was really helpful. This is how it looks now. 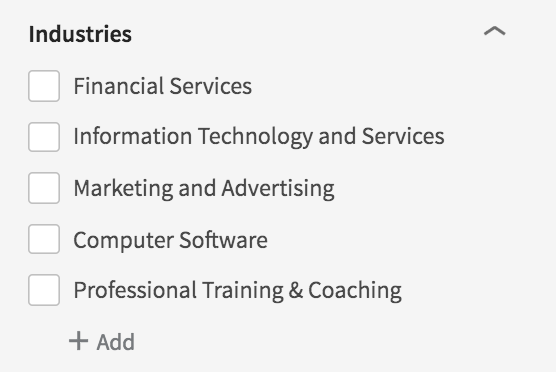 To help our fellow LinkedIn users (and clients), here is a helpful list. Use it to filter your search results by 1 or more industries.